WASHINGTON, D.C. – September 18, 2013 – (RealEstateRama) — Sens. Jon Tester (D-Mont. ), Bob Corker (R-Tenn.) and Johnny Isakson (R-Ga.) today stressed that ongoing efforts to reform the U.S. tax code and overhaul the housing finance system should take into account the important role that housing plays in the economy. The senators joined housing industry experts at a forum that examined the future of U.S. housing, “Building a Better Future: America’s Housing at a Crossroads,” at the Newseum in Washington. 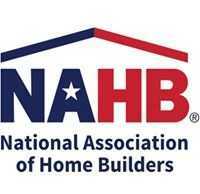 The symposium was produced by CQ Roll Call and sponsored by the National Association of Home Builders (NAHB). Sens. Tester and Corker are among 10 bipartisan cosponsors of the Housing Finance Reform and Taxpayer Protection Act (S. 1217), legislation to reform the nation’s housing finance system that includes a federal backstop while limiting taxpayer exposure. As the legislative process moves forward, Corker added that he expects to see improvements to S. 1217 and that a housing finance proposal pending in the House will also undergo changes. “I can make a great case for the preservation of the mortgage interest deduction and I can make a phenomenal case for low and moderate income housing tax credits in terms of the payback to the country, but those arguments have to be won and lost when you are truly doing a major reform,” said Isakson. Along with the Senate keynote speakers, housing analysts engaged in a series of in-depth discussions on key issues, with a special emphasis on the outlook for housing demand and production, ongoing efforts toward reform of the housing finance system and the potential impacts of tax reform on homeownership and the economy. As the economy continues to mend, pent-up demand for housing should also increase, according to NAHB Chief Economist David Crowe. While the single-family side continues to gradually bounce back, Crowe said that several challenges remain. “Credit for buyers and builders remains difficult, and there is a lack of buildable lots,” he said. Looking ahead, the outlook looks bright for homeownership. Columbia Business School Professor Christopher Mayer also noted that homeownership is not just an American dream but a global dream. Panelists addressing the issue of housing finance were in general agreement that the private sector needs to play a greater role in mortgage financing but that maintaining some level of federal support is essential to ensure stability and liquidity in the mortgage markets. 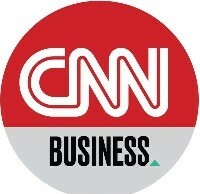 A dissenting view on this latter point came from Peter Wallison of the American Enterprise Institute, who said that lowering the conforming loan limits of government sponsored enterprises (GSEs) Fannie Mae and Freddie Mac over time will allow the private sector to come in and pick up that business. “If you simply made those changes and authorized the withdrawal of the GSEs, you would find we would gradually move to a completely private system, which is where I think we should be going,” said Wallison. This response drew a sharp rebuttal from other panelists. “Private capital by itself will not secure a safe market and most importantly, private capital during a down market is least likely to be there,” said Michael Calhoun, president of the Center for Responsible Lending. “Mike is making a real important point that credit will dry up in the housing finance market when times get tough,” added Georgetown University Law Professor Adam Levitan. On the topic of tax reform, a third panel of housing experts were in general agreement that the mortgage interest deduction plays a key role in shaping housing demand, while differing in their evaluation of current policy. “The nonpartisan Tax Foundation found that if we repealed the mortgage interest deduction and lowered marginal tax rates then GDP would decline by $100 billion annually,” said NAHB economist Robert Dietz. Noting the importance of the mortgage interest deduction to younger households, who are paying greater amounts of interest in the early years of a mortgage, Dietz warned that repeal of the deduction would lead the homeownership rate to fall and the average age of a first-time home buyer to rise. This delay could in turn affect family formation, wealth accumulation and other economic and demographic outcomes. Anthony Randazzo, director of economic research at the Reason Foundation, said he opposes the mortgage interest deduction and believes that tax policy should not be set to achieve social purposes. “Do we want to support middle class or low-income home owners? Then let’s just provide an explicit subsidy to people we want to, and then find a middle ground,” he said. Dr. John Weicher, a director of the Hudson Institute’s Center for Housing and Financial Markets, rejected the idea that the mortgage interest deduction is a tax distortion.